Hello! I'm Nina aka Steamgirl and I love making Visual Novels. As you may know, I am working on Stranded Hearts. It's a Romance/Survival Sim about three women stranded on an uninhabited island. 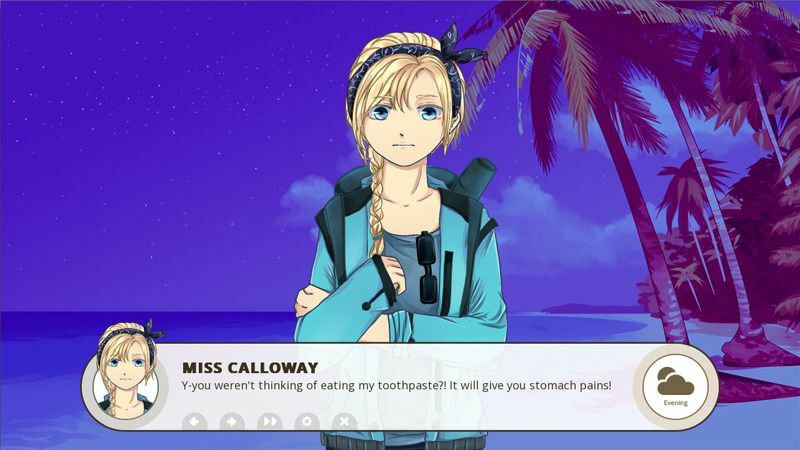 It features writing by Seigetsu, beautiful character designs by YuukiCrossPudding, interface design by Sasquatchii, and music by TyberAlyx (of The Sad Story of Emmeline Burns fame). But the largest portion of the work is done by me, as I write, program, do background art, and CGs. If you didn't know about it already, a demo is available for Stranded Hearts. It gives you the first 5 days of gameplay, out of roughly 30-45. The final wordcount will amount to at least 60,000 words (currently at 47k). A Story Mode will be added too, featuring survival that is simplified to standard Visual Novel choices. Amazingly, the final game will be free for everyone! In addition to that, we will release a deluxe version, with soundtrack and a few extra scenes, such as an extra survival challenge and extended epilogues. It's really a "I like this game so I want to support the creation of more" edition, the bonuses a "thank you", but not essential to the enjoyment of the game. 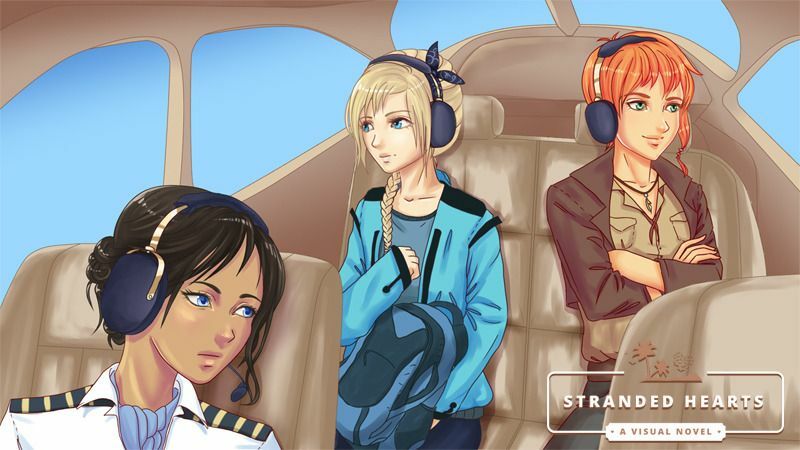 Would you like to see Stranded Hearts finished sooner rather than later? This is where you can help! With the support of patrons, I can afford more time on the project. Patrons will be charged twice, once when the Beta version becomes available, and once for the Final Release. If we collectively reach the $150 goal, I will also add advanced scouting, a feature that would really enhance the gameplay and replayability. For updates, beta versions, and a good feeling in your heart, become my patron! Advanced Scouting: You choose which part of the map to scout. More info.